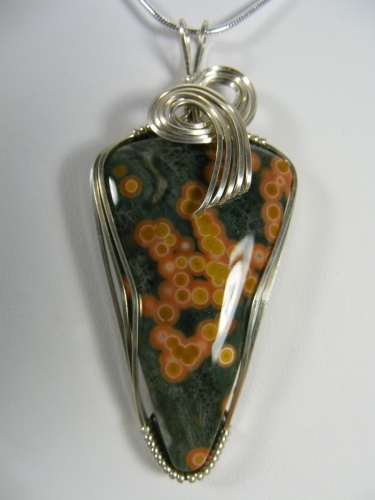 This pretty piece of ocean jasper is sculpted with sterling silver swirls making the colors pop. Vibrant golds and greens make this so stricking. Piece measures 2 1/4" by 1" and comes with a sterling silver snake chain.